Penny Williams was a vibrant young Deaf woman who was in the midst of embarking on a new life. She was close to completing her college degree in pursuant of her dream of becoming a counselor for the deaf. Then one fall morning in 1999, everything changed in a swift second. 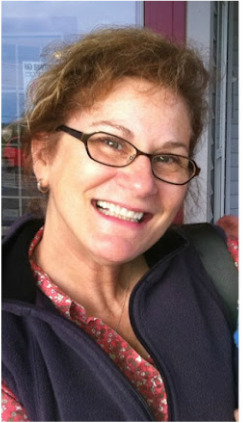 Penny‘s life was cut short, murdered by her ex-husband - she became a victim of domestic violence. 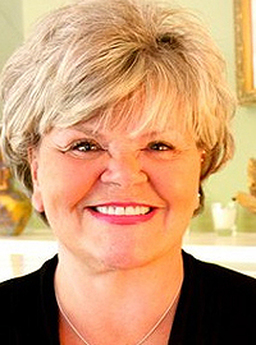 Penny’s death left a profound and lasting impact on the Utah Deaf community. The community couldn’t fathom how this tragedy could have happened. Many questions flowed such as “Will it happen again?” and “Is there anything that could prevent future tragedies in our community?” Within a short period of time, by coincidence or perhaps fate, the opportunity to establish a domestic violence agency became available to the Utah Deaf community. In the winter of 1999, a letter was sent to Annette Stewart, a Licensed Clinical Social Worker at the Sanderson Community Center of the Deaf and Hard of Hearing. The letter was from Marilyn Smith, the Executive Director of Abused Deaf Women’s Advocacy Services (ADWAS) of Seattle, Washington. ADWAS was organized over 20 years ago as a result of a similar tragic incident, the murder of a deaf woman in Seattle. As a former counselor, Marilyn saw too often the challenges Deaf people face when attempting to get help, especially for women wanting to escape domestic violence or sexual assault. Being a Deaf woman and a sexual assault survivor herself, she knew first hand the barriers to getting help. Often Deaf victims do not know where to turn for help, how they will communicate with shelter workers, police and the courts. Marilyn Smith developed an advocacy agency to assist Deaf and deaf/blind women and children to get the help they need in a barrier free environment that is run for and primarily by Deaf individuals. ​Photo courtesy of Gallaudet University, 2013. In 1998, Marilyn obtained a Federal Grant from the Department of Justice, the Office of Violence against Women to replicate the ADWAS agency model in 15 cities across the nation. The letter Annette Stewart invited Utah to select and send five Deaf and hard of hearing women to go to Seattle in the Spring of 2000 to receive in-depth, week-long training to become domestic violence advocates and to learn how to set up an agency (including developing a Board and funding development plan). The purpose of this training was to empower these women with appropriate skills, then have them go back to their home states and set up an advocacy agency to support deaf victims of abuse in a cultural and linguistic manner. Five deaf women were Linda Berness, Christy Layton, Kristi Mortensen, Eli McCowan and Joene Nicolaisen and they traveled to Seattle for this training along with Deaf women from several other states. After three years of hard work, ADWAS was able to witness the birth of 15 sister agencies that now provide services to their own deaf communities across the nation. Photo: Eleanor McCowan, Kristi Mortensen, Christi Layton, Linda Berness and Joene Nicolaisen receive training and mentoring from Abused Deaf Women's Advocacy Services, 2000. After receiving the training from ADWAS, Sego Lily Center for the Abused Deaf (SLCAD) was established in 2000 as a non-profit advocacy agency specifically designed to meet the needs of Deaf, deaf/blind and hard of hearing victims of domestic violence and sexual assault in Utah. The opportunity came after Penny Williams was murdered in September 1999 and the Utah community was ready to embrace Sego Lily Center for the Abused Deaf. The agency was named after the Utah State flower which appears to be very fragile but in reality, a flower of great strength and endurance. The flower is comparable to survivors who are able to withstand the harshest weather and climate-environment – much like the torrents of abuse. The group of Utah women, who were trained by ADWAS, immediately began spreading the news about SLCAD’s services and served their first client a few months later. Since then, SLCAD has average about 30-60 victims and their families served annually. SLCAD has also begun to collaborate with and train service providers such as the police, shelters, interpreters, lawyers, etc. on how to make their services more accessible and appropriate for the Deaf victims. Community outreach prevention and awareness programs were also developed such as Deaf Women’s Day, Safety Fair activities to help deliver information to the Utah Deaf community about abuse and how to get help. ​Photo courtesy of Deaf Nutritional Sandria Graham. From the years 2000 to 2006, SLCAD operated solely through a pager system with dedicated volunteers because there was no money for an office or staff. In 2006, SLCAD was given sufficient funding by a generous private source to open their first office. Volunteers continued to perform all duties. Then in 2007, SLCAD applied for and was awarded a large Federal grant through the Department of Justice, Office of Violence Against Women Programs to outreach to the Deaf communities in nine targeted rural counties in Utah. SLCAD has always been concerned about making services available to Deaf and hard of hearing individuals and providers in the most isolated areas of Utah. This grant enabled SLCAD to hire paid staff to focus on the Rural Grant goals and making services accessible to victims in rural areas of Utah. Photo: Joene Nicolaisen, Ex. Director received the Utah Governor’s Award for Excellence in Public Service for her work with SLCAD, June 2008. 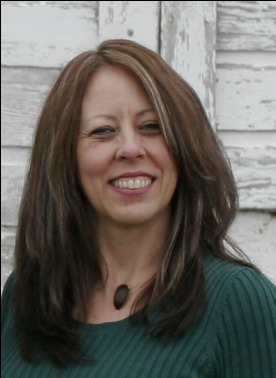 Stephanie Mathis became the Rural Program Director. SLCAD continues to rely on trained volunteer advocates to support victims and survivors along the Wasatch Front and other areas not covered by the Rural Grant. Joene Nicolaisen remained as the volunteer Executive Director with support from the past Board members who have dedicated many hours to supporting Sego Lily programs until she retired in December 2011. Stephanie Mathis became the Executive Director January 2012. Now, SLCAD has contributed many hours to the cause of keeping the Deaf community safe. What makes SLCAD unique is the mission it lives by which is to promote a safe and empowered community for Deaf, hard of hearing, deaf-blind people by providing culturally accessible services, advocacy and education. SLCAD staff strives to provide Deaf victims opportunities and navigation to make decisions and advocate for themselves, while communicating with them in a culturally and linguistically sensitive manner. All of our advocates and volunteers are fluent in American Sign Language and must have an understanding of Deaf Culture. At least 51% of the Board members are either deaf or hard of hearing and are fluent in ASL. This ensures that all services are culturally and linguistically appropriate. SLCAD’s current and future goals are to expand and enhance services including building an accessible shelter, more counseling services, continued educational workshops in schools and community centers, positive parenting classes, as well as children and teen programs. 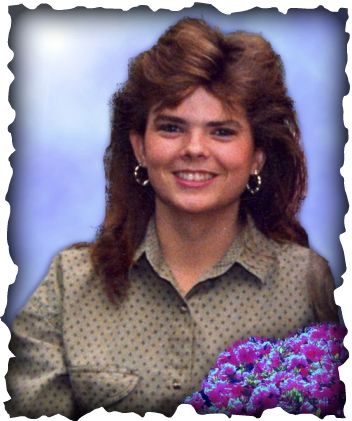 September 1999: Penny Williams dies at the hand of her ex-husband. Winter 1999: Utah is invited to ADWAS for training to set up services in Utah. April 2000: five Deaf women traveled Seattle to receive training from ADWAS. June 2000: SLCAD is established as a 501c3 non-profit agency. Fall 2000: SLCAD served their first victim. March 2006: SLCAD opens their first office in Murray, Utah. October 2007: SLCAD is awarded the Rural Grant from the Department of Justice under the Office of Violence against Women. May – Oct 2008: SLCAD hired their first staff members. June 2008: Joene Nicolaisen, Ex. Director received the Utah Governor’s Award for Excellence in Public Service for her work with SLCAD. June 2008: SLCAD is honored with an award from the Utah Registry of Interpreters for the Deaf (UTRID) for their outstanding community service in providing support to Deaf, Deaf-Blind and Hard of Hearing victims and survivors of abuse. October 2009: SLCAD was awarded the Rural Grant from the Department of Justice under the Office of Violence against Women. October 2010: SLCAD hosted the Justice for Victims National Coalition Conference in SLC, Utah where 15 sister agencies representatives were in attendance. October 2010: SLCAD is awarded the Legal Assistance for Victims grant under the Dept. of Justice under the Office of Violence against Women. October 2011: SLCAD is again awarded the Rural Grant from the Dept. of Justice under the Office of Violence against Women. December 2011: Joene Nicolaisen, after 11 years of dedicated services, retires from SLCAD. August 2012: Stephanie Mathis, Executive Director receives the community member award from the Utah Registry of Interpreters. 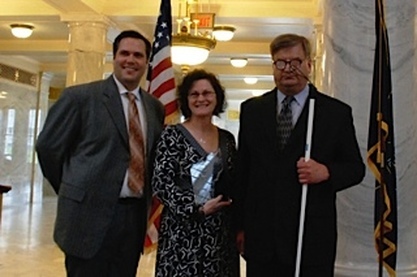 June 2013: SLCAD receives a Presidential Award by the Utah Association of the Deaf. 2015: Sari Williams, a long time advocate for Sego Lily, received the Advocacy in Action award for her years of outstanding advocate services at the Annual Crime Victims’ Conference in Midway, Utah. Videotape of KBYU Eleven Community Connection interviewing Stephanie Mathis, Executive Director of the Sego Lily Center for the Abused Deaf.